The fall television premieres are drawing closer and this television fanatic cannot wait. Every year I like to make a wish-list of certain things I would like to see happen on a particular show. My record is fairly sucky, I tend to root for couples that don’t stand a chance or the death of a character that is vital to the series (*cough* Peyton *cough*). I have made wish-lists for the shows that I plan to watch this coming fall. There are a lot of shows, so don’t judge. More Quinn: Quinn has become my favorite character on the show and I can’t wait or her to be the HBIC of McKinley High again. Quinn’s screen time slowly dwindled last season, which needs to change and give the girl some solos! Dianna Agron admittedly has one of the weakest voices in the cast, but I personally loved “Papa Don’t Preach.” I like Quinn with both Finn and Puck, so I don’t necessarily care where they take that storyline. Since it seems like they are choosing to go the Puck route, I will at least need some interaction between Finn and Quinn, they got royally screwed over in the back nine. Improve consistency: The back nine of season one had little to no consistency with the first half. One minute Finn is admitting he’s not over Quinn, the next he is professing his love for Rachel. Minimal Finn/Rachel overall: I have no positive feelings for this “power couple” at all. I think they’re my new Lucas and Peyton. I feel like I should them because it’s inevitable that they’re going to end up together, but somehow I cannot stand them together. I have already braced myself for a season chock full of puke-worthy Finchel moments, but if all possible – keep them to a minimum, that’d be lovely. 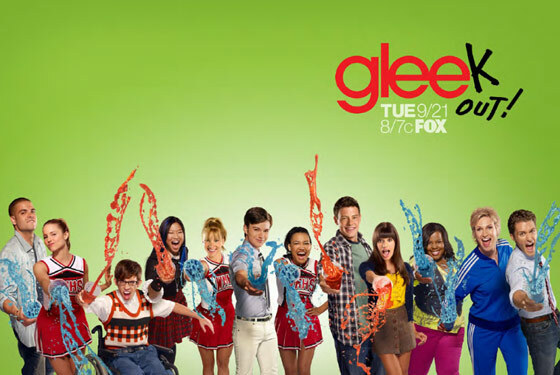 Here ends my Glee season two wish-list. I’m expecting my hopes for the season will end in devastation but it’s nice to dream.